Does anyone have $325 to spare somewhere? 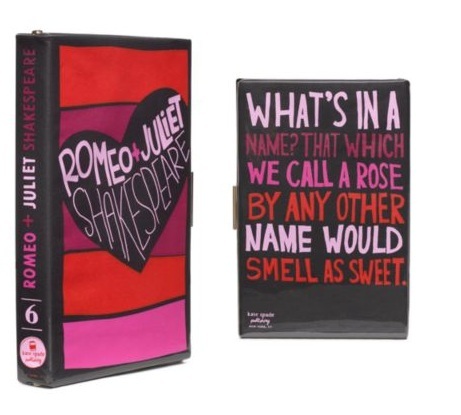 Because that’s how much these book clutches are going for at Kate Spade. 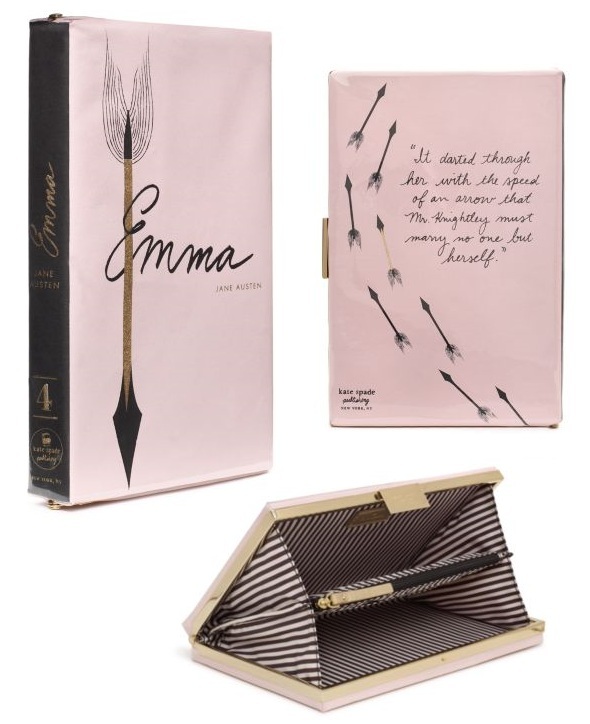 I never seem to care about purses, but the Emma clutch is doing something for me. Be still my beating heart! This entry was posted in Uncategorized and tagged books and fashion, charles dickens, jane austen, kate spade, oscar wilde, shakespeare by janicu. Bookmark the permalink. WANT! Probably the only time I’ll ever be tempted to buy a Kate Spade clutch/bag. Imagine the number of books you can buy with that price. At least 30 books. At least! *sigh*. But it’s so cute. Oh yeah. My mom would probably disown me for such a crime too. Wow. I love these. Did I hear on Twitter there was a P&P one? I think Emma is definitely my favorite. Me too. I just wish it was.. oh, a few hundred dollars less than it is! These are gorgeous! So expensive though. Thankfully there are quite a few DIY tutorials on how to make your own book purses, but I’m horrible at crafts, so I’m quite reluctant to try myself, ha. I don’t like the look of the craft book purses as much as this either. At least the ones that reuse real book covers. Hmm. Maybe if I learned how to screenprint and sew..
She has Kindle covers too! They’re significantly cheaper, but less multi-purpose. Also they only fit the Kindle with keyboard which is unfortunate (or fortunate rather as it saved me from splurging for my new Kindle). I too would try just making my own if I had the materials, but screenprinting stuff doesn’t come cheap either. Nice find! 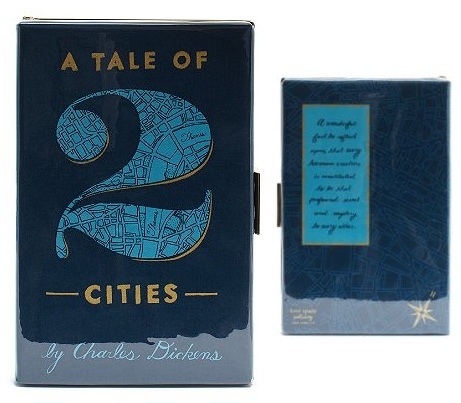 I wonder if it fits the nook.. and if they have the EMMA one as a cover too… *much chin rubbing*. I like the price in comparison to the clutches a lot. Yeah I have no purses like this.. so now I’m eying the kindle cover versions of these things (see link above), and wondering if my nook will fit it.. sadly thinking no. Ohhh these are torture! I want one!